Tinnitus sounds are often described as buzzing, ringing, hissing, humming, roaring, or whistling that someone hears in the absence of any external sound. Globally, tinnitus affects an estimated 10-15 percent of the population. More than 50 million people in the United States alone suffer from the condition, according to the American Tinnitus Association. Usually brought on by exposure to loud noise, the problem is especially significant in the military worldwide, with more than 34 percent of returning veterans from Iraq and Afghanistan suffering from the condition. There are many potential causes for ringing in the ears, and it is likely that no one explanation will cover all cases. Nevertheless, it is generally accepted that tinnitus involves a series of neurological changes within the auditory system as well as systems in the brain that influence attention and emotional state. Tinnitus sounds are a result of changes in the auditory system that lead to increased and altered activity in the neurons of the auditory system. The brain then interprets this altered activity as sound even though no external sound exists. Many people experience the perception of sound in this way – but are not bothered by it. When tinnitus becomes truly bothersome, it’s usually the reaction to the brain’s various perceptions to the sound rather than the sound itself. The brain reacts with further changes that control the conscious attention and emotional response, such as the limbic and autonomic nervous systems. Anything that disrupts the auditory system can trigger tinnitus sounds. Tinnitus can stem from hearing damage, which might be the result of aging, exposure to loud noises, certain drugs and medications, infections or other causes. Regardless of the cause and its permanence or temporary status, hearing damage can cause changes in neuron activity in the auditory system, which the brain’s cortex interprets as sound. Although these other causes contribute to only a small percentage of tinnitus cases, their existence underlines the need for a thorough head, ear, nose and throat examination. Appropriate referral to an otolaryngologist or prosthodontist may be appropriate. Once the brain perceives tinnitus sounds, it may begin to prioritize the perceived sound above all other actual sounds. That, in turn, leads the system to focus on the tinnitus sounds even more on a prolonged basis. This change occurs within the subcortical regions of the brain, which are normally responsible for subconscious filtering of sounds. An example of this filtering is the ability of someone to be in a noisy, crowded room and notice his or her own name being mentioned over the general din. The emotional centers of the brain may become involved at this point. The limbic system, which controls emotions, may attach a negative label such as fear to the occurrence of tinnitus sounds. In addition, the autonomic system may trigger a “fight or flight” response, which compounds stress in the person with tinnitus. 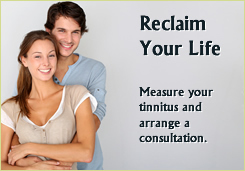 Stress leads to further increases in the sensitivity to the tinnitus sounds, which amplifies the tinnitus signal. This is the self-reinforcing cycle that increases the disturbance. Even after the tinnitus subsides, the cycle can continue. Indeed, tinnitus continues even after sectioning of the auditory nerve. In summary, even though tinnitus is triggered by a physical change in the auditory system, a cascade of neurological events heighten the anguish the tinnitus sufferer experiences. Stress, anxiety and depression occur. The ability to sleep or concentrate diminishes. 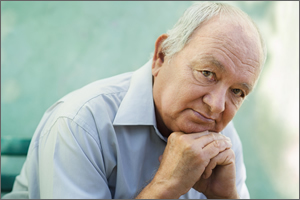 Some people develop a sense of helplessness and loss of control over their lives as a result of their tinnitus.